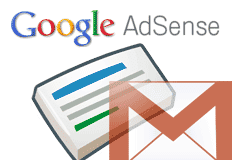 Now you can Contact and receive free consultation from AdSense! The AdSense team, as you know, is quite eager to work with publishers, because Google values them for the sake of its interest. AdSense has always been helping out publishers by providing access to many tools and resources for problem solutions, such as FAQs, the Fix a problem troubleshooting section, and the AdSense Academy. Now, AdSense is bringing in another feature; a new personalized contact options page. There is a tab called HELP at the top-right, using which you can find solutions to your queries, or send feedback to the AdSense team by automatically sending a snapshot of the page you are on. A really great flexibility for AdSense users. This new contact options page will now act as a central source for most commonly used troubleshooters. This means that you will find solutions to most of your problems under 'one roof', which will help you solve your queries within minutes. Another great thing about this new page is that, some troubleshooters will lead you to contact pages related to different issues. This will speed up the process, since the email messages will be sent to respective departments or teams. Google has also developed some automated tools that enable it to reply to queries sometimes within hours! This contact options page is available to everyone who has an approved Google AdSense account (banned or suspended accounts do not count). Such publishers also have access to the troubleshooters, and specialized contact forms. To see these features, simply follow this link to the contact options page. However, if you are a high earner, and have a revenue of $25 or above per week consistently, then you qualify for some special treatment :). This special treatment includes free consultations with members of the AdSense team via email! These members will help you manage your AdSense account, and/or discuss strategies to grow your business. Accounts that qualify for consultations, you will see an alert notifying you on the contact options page. As was the case with Premium AdSense Publishers accounts, Google closely monitors your progress over a long period of time, and only then deems you fit for qualification. So even if you have a revenue of more than $25 per week, you might not immediately be able to see this option.